Every member receives a personalised listing on The Circle Database, where others can search for creatives to work, collaborate and connect with. 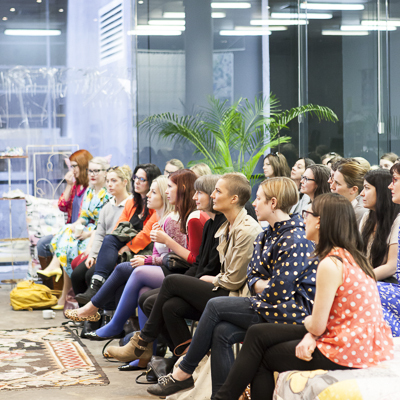 Since 2009, many of our past events and interviews with inspiring creative women have been recorded and are available for members-only access here on our website. As a member, you will be eligibility to attend our Member’s-only events, where you can meet other members, discuss your work and troubleshoot business issues. We host an active private Facebook group that has become an amazing place for connecting with fellow members around the country. It's a place for seeking out advice, sharing high fives, and all the nitty gritty in between. where you can discuss your work and troubleshoot business issues with fellow Members. Members have access to a wide range of discounts on products and servicespecial offers from other members and supporting organisations. ... for special discounted ticket prices to our events. Members have the opportunity to be profiled, interviewed and promoted via our blog and social media channels.